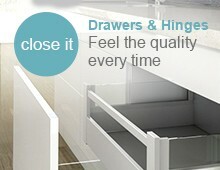 Hettich Atira glazed deep drawers with their sleek silver finish are ideal for modern kitchens and bedrooms. 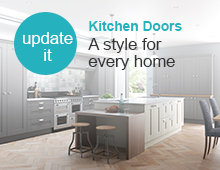 Their clean cut lines are the perfect complement to the current minimalistic look. 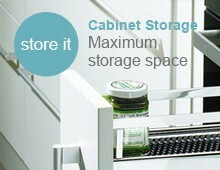 Hettich have also resolved the issue of different sized cabinet sides with their two runner options, no more packers if you only have 16mm sides. 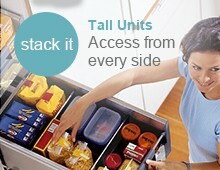 Smooth, full extension drawer runners bring the contents to you, allowing easy access to the drawer contents. 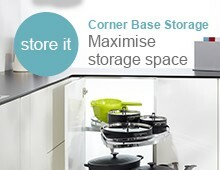 We also stock a wide variety of cutlery and utensil inserts to safely and effectively maximise your storage. 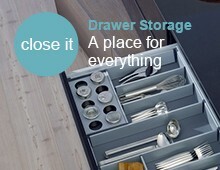 Alternatively the drawer dividers are ideal for bedroom storage.